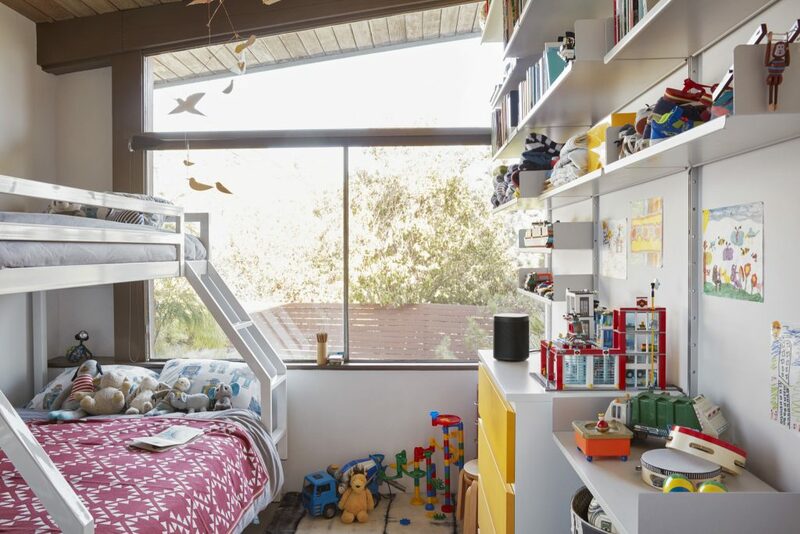 Play songs, check news and traffic, manage smart devices and enjoy other helpful Amazon Alexa skills using a single Sonos speaker. Start music with your voice from Spotify, Amazon Music, iHeartRadio and TuneIn. Or as low as $149.83 per month over 6 months. Apply Now. The new Sonos One blends great sound with Amazon Alexa, the easy-to-use voice service, for future-ready voice control of your music and more. Sonos One allows you to start music with your voice from Spotify, Amazon Music, iHeartRadio and TuneIn. Use your voice and the Sonos app to control and manage all your music in one place: dozens of music services including Apple Music, podcasts, Internet radio stations and much more. 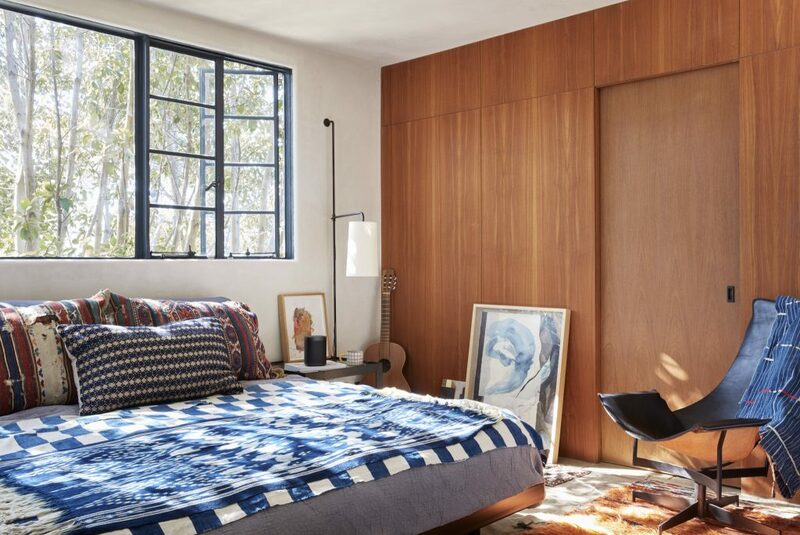 Ask Alexa to check news and traffic, set a timer, manage smart devices and other helpful skills using a single Sonos speaker. *Sonos One does not support Alexa voice calling. Its size makes it perfect for bookshelves, counters and snug spaces. 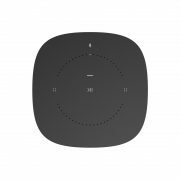 Mount Sonos One to the wall, ceiling or a floor stand using third party accessories. Designed to be moisture resistant, Sonos One streams your favorite songs in music starved places like bathrooms and outdoor patios. All you need is Wi-Fi and a power source. 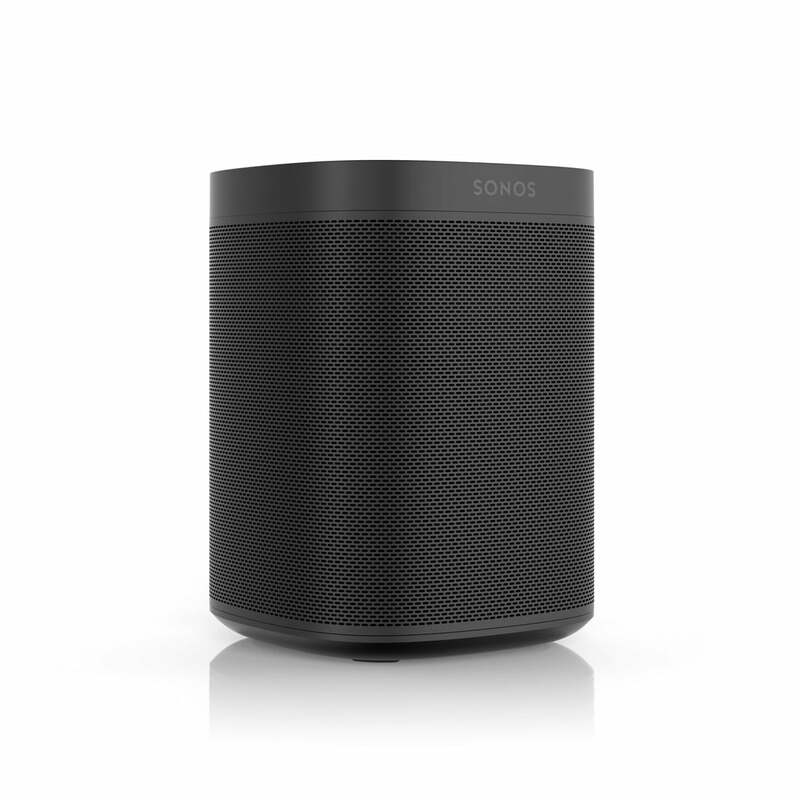 Pair two Sonos Ones together in the same room for instant stereo sound; add a Sub for deep bass. 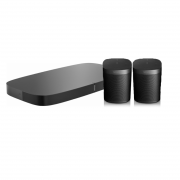 Or pair with your TV’s Playbar or Playbase for epic home theater surround sound. 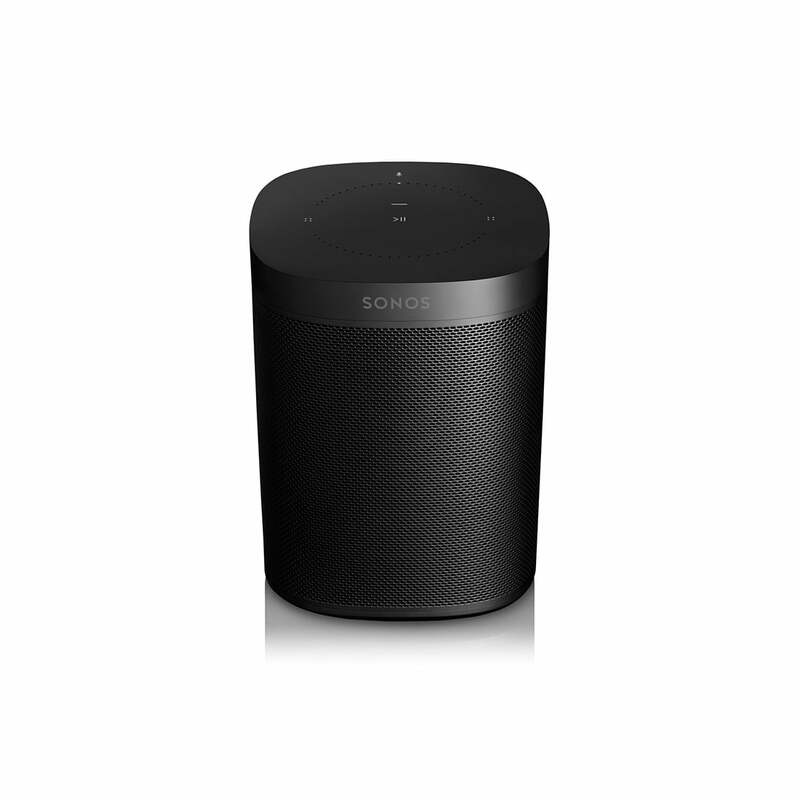 Cannot be stereo paired with other Sonos speakers including Play:1. 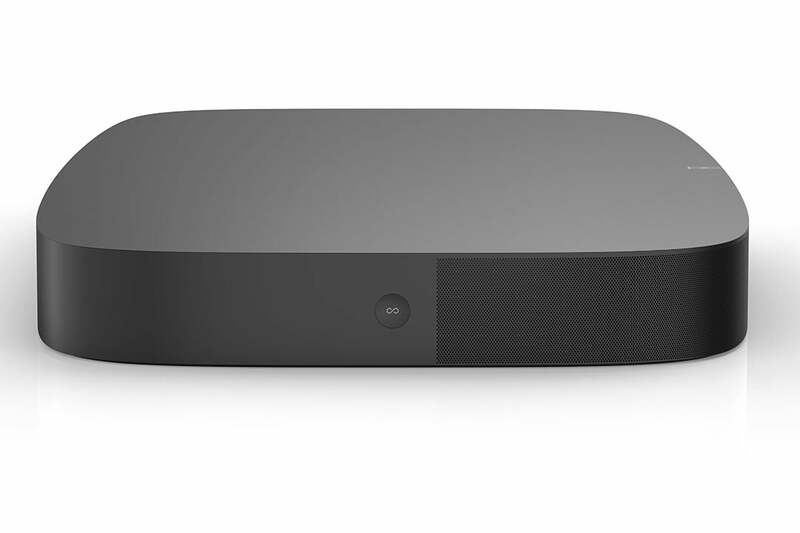 Sonos Playbase uses ten amplified internal drivers – six midrange, three tweeters, and one woofer – to replace the steady drip of your TV’s built-in speakers with deep booms, crystal-clear whispers, and huge waves of sound. 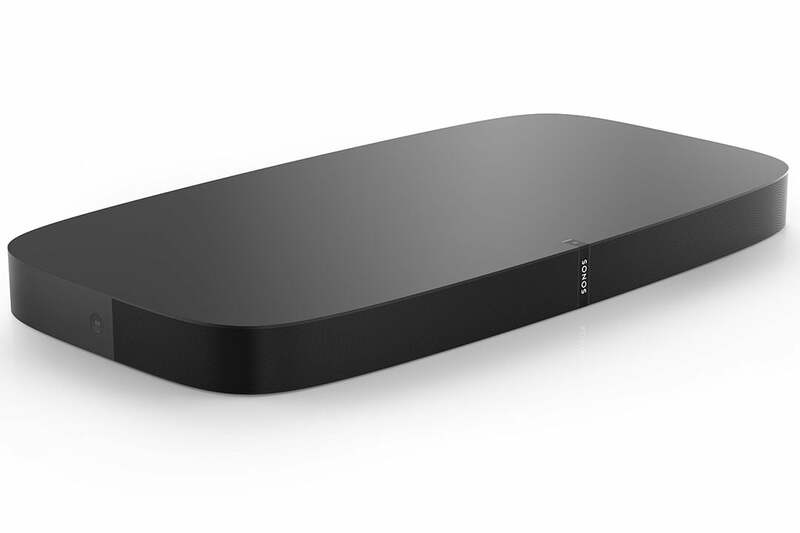 Whether you want an easy upgrade for your television’s (typically sub-par) built-in audio capabilities or you want to build a home theater complete with full surround sound, the PLAYBASE Wireless is the sonic solution you are looking for. Simply connect the PLAYBASE to your TV using a digital audio optical cable and hear the improvement over your television’s built-in speakers. 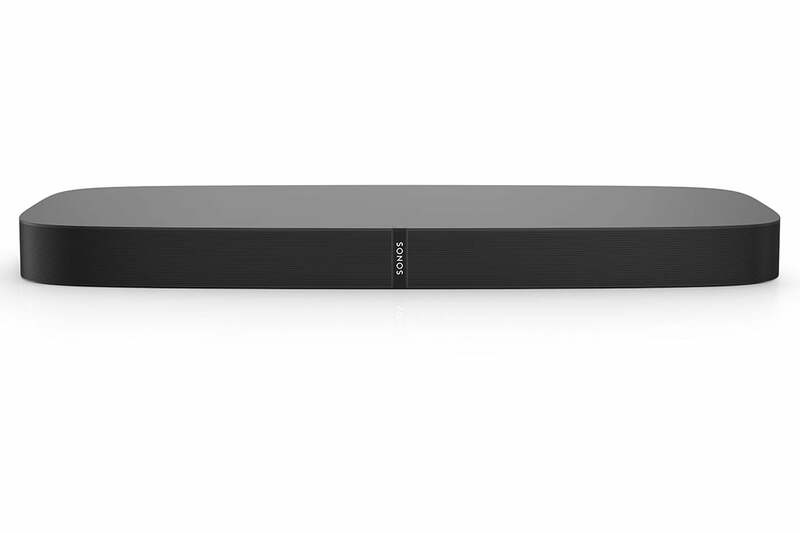 The PLAYBASE delivers some serious bottom end, but if you really want to rattle the walls with ground shaking bass, wirelessly connect a Sonos SUB. For an authentic surround sound set-up (part of the larger Sonos multi-room audio ecosystem), connect add a pair of Sonos PLAY: 1 speakers. Conventional soundbars work best when wall-mounted directly below your TV. Problem is, most TVs aren’t on walls. They’re standing on credenzas and tabletops.The Sonos PLAYBASE to the rescue. It’s elegant, low profile design practically disappears beneath your TV, yet it fills your entire viewing room with sound that’s flat-out amazing. Trueplay bounces sound off various surfaces in your TV room, analyzing the distance from each wall, the location of your Sonos PLAYBASE, and the spot you love to watch from. Then it adjusts each woofer and tweeter to make sure perfectly-tuned sound reaches your ears from every direction at just the right instant and volume. Sonos plays everything – the most popular streaming services, on-demand Internet radio, your favourite podcasts and audiobooks, your go-to collection of downloads – whatever you love to listen to. Having a hard time hearing what’s being said? Sonos PLAYBASE uses custom drivers to deliver crisp, clear dialogue to the centre channel where your ears can best discern it. Need even more clarity? Turn on Speech Enhancement to keep the dialog at a consistent level and reduce the volume of any loud sound effects. – Ten amplified speaker drivers – six mid-range, three tweeters, and one woofer. – Ten Class-D digital amplifiers. – Optical input to connect to your TV. Allows PLAYBASE to speak DOLBY DIGITAL and stereo. – Adjustable bass, treble, and loudness controls to customize your sound preferences. – Autoplay setting lets you choose whether or not TV audio will begin playback automatically. – 2.28 x 28.35 x 14.96 in. (58 x 720 x 380 mm). – 18.85 lbs. (8.6 kg). – Capacitive touch controls for volume up/down, previous/next track, and play/pause. – LED indicates Sonos component status and mute status. – Auto-switching 100-240 V, 50-60 Hz AC universal input. – Connects to your home WiFi network with any 802.11b/g, 2.4 GHz broadcast-capable router for uninterrupted wireless streaming. – A single Ethernet port can connect PLAYBASE to a wired home network. – TV with optical audio output. – Broadband Internet in your home.